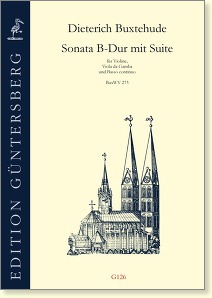 This sonata occupies a special place among Buxtehude’s twenty-one instrumental sonatas. 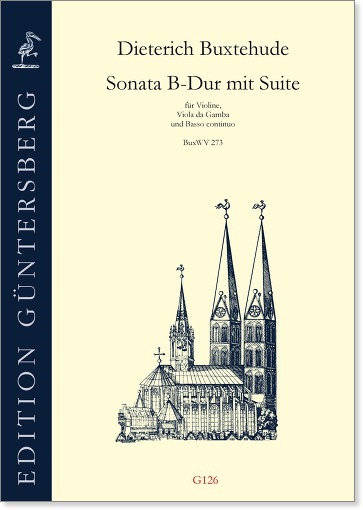 This is because it is the only early version of one of the sonatas published later, toward the end of the seventeenth century: the Sonata in B-flat Major, op. 1 no. 4. This affords us an opportunity to cast a glance at the master’s development as a composer. The earlier version has many interesting differences. And it contains a suite made up of four dance movements which is entirely missing in the later version.